The creative and inventive men and women of Alabama design and assemble all sorts of things that get sent as near as surrounding states and as far as Germany and Japan. But while we’ve heard plenty about the state’s planes, trains, and automobiles (literally), there are also plenty of items available as gifts this holiday season. What follows is our first Made In Alabama holiday gift guide, highlighting only a handful of items designed and built here in our state. If you know of others that would make great gifts, tell us about them by joining the conversation on our Facebook page. Alabama Chanin has a number of quality products that reflect the progressive style in the state. 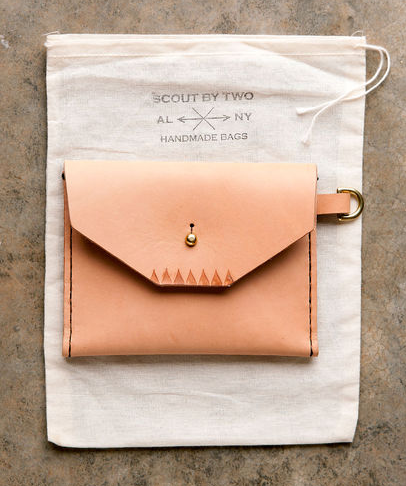 This wallet, created as an artist collaboration between Alabama’s Marisa Keris and New York’s Constance Sepulveda is made with waxed canvas, premium vegetable tanned U.S. cowhide and solid brass hardware. 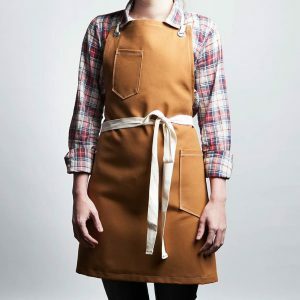 For the chef in your life (or the farmer or artist), check out this apron from Jones Valley Teaching Farm in Birmingham. The nonprofit, which works to teach students in Alabama’s largest city “to eat smarter, think healthier and live better,” this month launched an online store with a number of goods worthy of your holiday spend. This apron, made from medium weight canvas, was designed by JVTF and sewn by a seamstress in Birmingham. Since 1989, this creamery in the rural Alabama town of Elkmont has made handcrafted French style goat’s milk cheeses. During that time, it’s won more than 50 national awards, including from the American Cheese Society, the American Dairy Goat Association and other esteemed institutions. 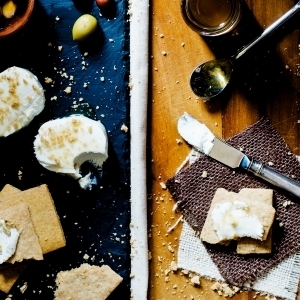 Even internationally known cheese authority Steven Jenkins has declared it an “American treasure.” And this “Ultimate Cheeseboard” includes the board, hand crafted knives from Chris Williams, Tupelo Honey from the Savannah Bees Company and, of course, plenty of Belle Chèvre cheese. Thanks to the architects of Auburn Rural Studio and the bakers of Pie Lab, the Alabama city of Greensboro has been the center of a number of creative endeavors over the past several years. The newest combines bamboo and bikes. Great for the do-it-yourselfer in your life, you can order this bike-building kit and feel good about playing a role in the company’s effort to end rural poverty. While we love all the cars made in Alabama, this Mercedes GL-Class luxury SUV is about expensive as they get. With starting price of $63,000, it’s sure not for everyone, but it definitely shows the power and prowess of German – and Alabamian — engineering. 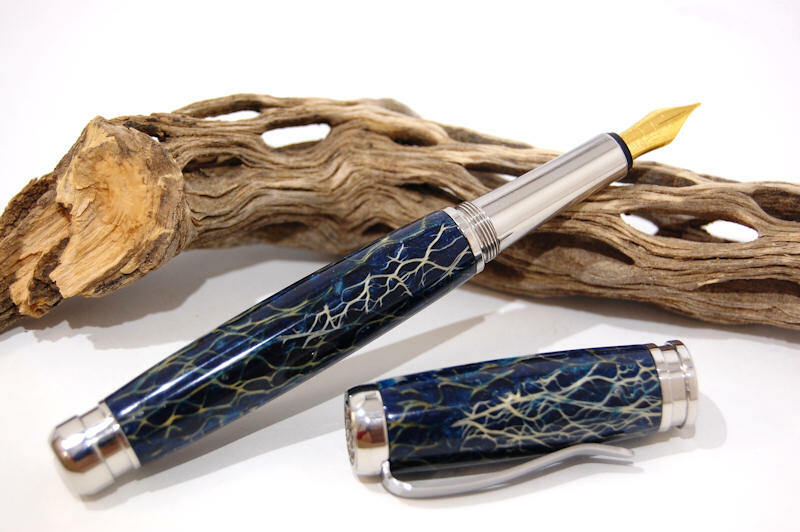 Columbiana craftsman Phil Morris uses materials as varied as reclaimed wood or rock to made unique pens priced anywhere from $30 to more than $800. During a November trade mission to Japan, Alabama Gov. Robert Bentley gave the CEO of the Japan External Trade Organization one made of dogwood downed by the 2011 Tuscaloosa tornado. If you, like us, are incredibly proud of all the things made in Alabama, you can wear that pride on your sleeve (or give it as a gift). 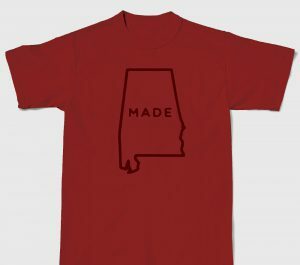 Birmingham-based Big City Brand recently launched a line of tee shirts including this “Made In Alabama” design, which has quickly become one of the company’s fastest-selling shirts.